Perhaps we should GO on Counter-Strike. No there's still no sign of Retro City Rampage on the European PlayStation Store, nor Counter-Strike: Global Offensive. It's the fifth week we've collectively held our breath for Retro City Rampage, and the 12th week for CS: GO. PS Store's Jawad Ashraf took to the EU PS blog comments to fight fires. "Still no RCR?" he was asked. "Sadly not. Once we have word from the devs that we can share we'll be sure to let you know." 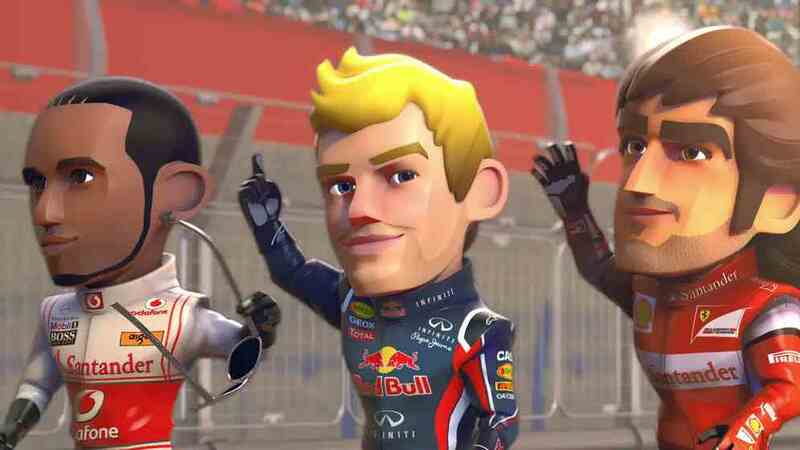 The weekly PlayStation Store delivery dumps a demo of Codemasters' looking-good attempt at Formula 1 meets Mario Kart: F1 Race Stars. There's a demo for Epic Mickey sequel The Power of Two, too. If you want to spend some money I'd advise picking up Vanquish for £12: a good price for a great game. There's a stinky fluffy splodge of nostalgia in the shape of Mega Drive games Toejam & Earl and Toejam & Earl in Panic of Funkotron, each £3.70. The not-quite-as-old Devil May Cry trilogy has been bundled into the Devil May Cry HD Collection for £20. Oddly this doesn't have a release date but it will probably be Friday if you ask me and no one ever does. New game When Vikings Attack! arrives at £8 and supports the Cross-Buy initiative, so you buy it once and get it for both PS3 and Vita. Chris Donlan's reviewing it right now, so I'd hold your horses unless you're itching to get at it. Dyad's out today for £8, finally; a pat on the back if you remember Simon Parkin reviewing it back in July. Sony's focusing on the launch of its own take on Mario Kart, LittleBigPlanet Karting, which you can buy from the Store for £40. Our Dan Whitehead wasn't a massive fan, scoring 6/10 for "a misshapen cardigan of a game". Worth noting that the held-back Skyfall chapter of 007 Legends has been added to the Store for launch on Friday.